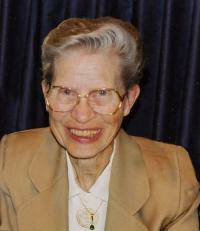 ROSS, Verna Emma (nee Pahl) On Sunday, September 28, 2014, Mrs. Emma Ross passed away peacefully at the age of 88 years. She will be forever remembered by her son, James; step grandchildren, Cody and Chelsea; chosen granddaughter, Marla (Colin) and their children, Ollie and Emma; as well as numerous nieces, nephews, extended family and friends. Verna was predeceased by her husband, Charles; as well as all her brothers and sisters. A Celebration of Verna’s Life will take place on Saturday, March 14, 2015 from 2:00pm until 4:00pm at Foster and McGarvey Funeral Home, 10011-114 Street, Edmonton.